Cactus Flower Florists: CactusFlower.com Now Sells....well, Cactus! By popoular demand, CactusFlower.com is now your resource for desert cactus plants. Thanks to the wonderful world of website analytics, we have learned that people actually stumble upon our website on the quest for cactus plants . We found a local partner in Glendale, AZ, who grows his own saguaros, organ pipe cactus, barrel cactus and more - and ships them around the country via Priority Mail! We are thrilled to be sending a piece of the beautiful Sonoran Desert to the rest of the country. We also found some great tips on growing cacti and succelents at the Valley's Desert Botanical Gardens' website. They even offer a plant hotline to answer your questions on growing desert plants! 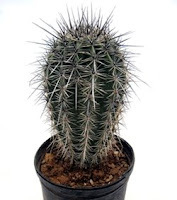 Regardless of who your "local partner" is in Glendale I suspect it's illegal to sell or ship Saguaro or Organ Pipe cacti in the way you are doing. Likely the cacti are hybrids, in which case say so.